The New Jersey Business & Industry Association supports legislation that would reduce the cost of obtaining a bachelor’s degree by allowing students to complete three years of study at a county college, followed by one year at a partnering four-year college or university. The legislation, A-1890/S-869 (Jimenez/Sweeney, Cunningham) permits a “3-Plus-1” bachelor’s degree program. The bill was released by the Assembly Higher Education Committee on Monday. 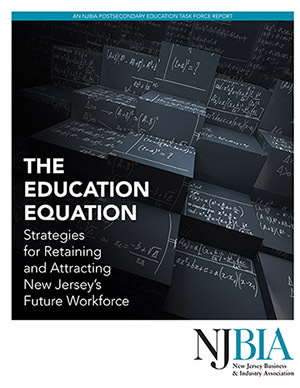 Earlier this year, NJBIA’s Post-Secondary Education Task Force issued a report with 13 recommendations for retaining and attracting New Jersey’s future workforce that included the development of cost-saving models for obtaining academic degrees. The legislation would allow a four-year college or university to partner with a county college to establish a 3-Plus-1 degree program. Students would complete three academic years at the county college, and then transfer to the partnering four-year institution for their senior year and complete their degree at that institution’s tuition rate. Why can’t students work and go to college when not working. That was how I got it done. The students just want free, free, free and legislation policy will allow that to happen. The ‘3 plus 1″ college degree legislation in N.J. will do nothing but dilute the quality of education and a degree from a 4 year college in N.J. A college education is not a check off at an inspection station. It is a exposure and interaction at an institution that has build programs and faculty that nurtures a student and adds measurable value to a student in the form of a degree. N.J. should reward N.J. students from any college who’s degree is needed to grow N.J. and who obtains employment in N.J. However, the cost and certification of additional education, from secondary school on, must be addressed comprehensively at the Federal level . The much overlooked program of the military ‘G.I Bill’, where military service persons earn post secondary educations, should be expanded to cover other needed services, which when completed, earn a post secondary education. And such a program should recognize other levels of education than a four year college, like many countries that collaborate with industry and train to specific employment of graduates.